After three short years, I’m still entranced by Charleston’s various neighborhoods and architecture. I love being a part of this city; photographing Charleston's landscapes and incredible architecture and sharing those with others all over the world is my small contribution to what makes the Lowcountry so great. If I had to pick three spots, I would lead off generally with anywhere South of Broad, which I can't seem to explore enough. My girlfriend and I live downtown and are avid bikers, so we meander and find new things all of the time. 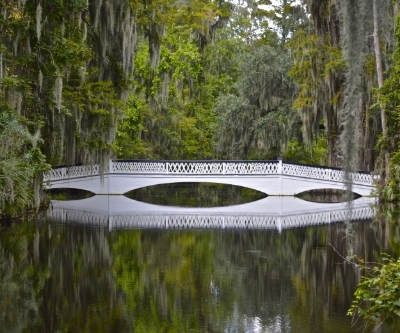 Another fantastic spot that I can't seem to get enough of is Magnolia Plantation and Gardens. The wildlife and scenery are a photographers dream. A third spot I often end up at is Brittlebank Park, which is both close to home (and The Joe! ), and offers stunning sunset views over the Ashley River. Of course, Lowcountry photography can't be pinned down to one spot, or even three. Photo opportunities are everywhere! A native of Bethesda, MD and graduate of Indiana University in Bloomington, Mark Swick moved to the Lowcountry in 2012 to work in programming and development for the College of Charleston. Upon moving to Charleston, he was immediately struck by the area's natural beauty and historic architecture, which quickly became the focus of his photography. An avid user of the online photo-sharing social network Instagram, Mark was the driving force and co-curator of Charleston's first Instagallery (#CHSInstaGallery), a collaboration of local photographers on display at the Real Estate Studio in the Spring of 2014. Mark is also the organizer of InstameetCHS: a low-key opportunity for photographers and Instagram users of all backgrounds to come together, tour and photograph a neighborhood or predetermined location around Charleston, and get to know one another. Seven InstameetCHS events have occurred since the inaugural event in February 2013. All are welcome to join. More work from the artist can be found at www.markswick.com, mnswick.tumblr.com, or on Instagram at @mnswick.